Can’t decide between chocolate and traditional hot cross buns? 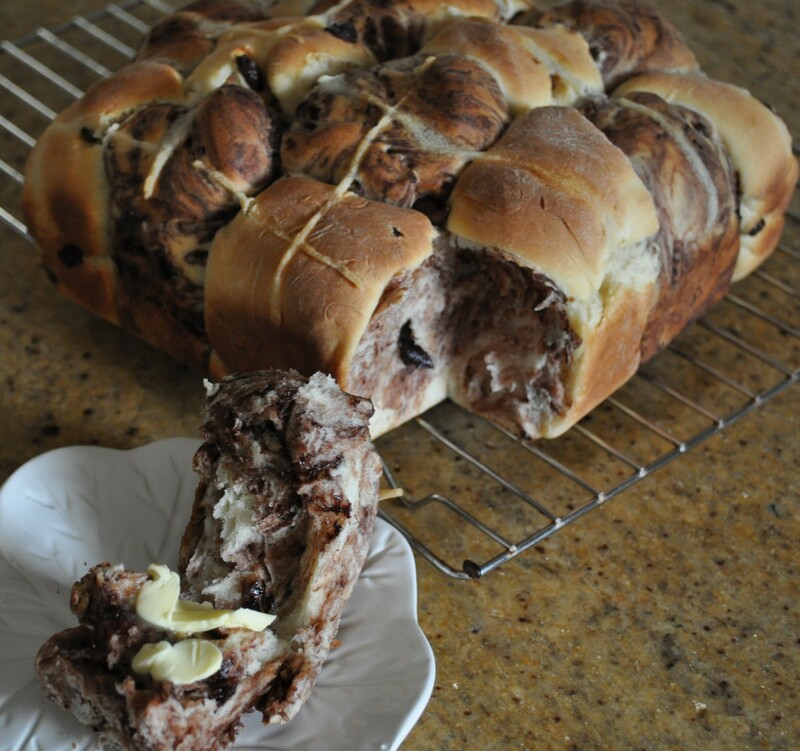 Combine them both with my easy checkerboard hot cross bun recipe. I was a latecomer to the tradition of hot cross buns. My latent childish food issues stopped me from eating the traditional fruit-filled version (and I still don’t like them) but when chocolate hot cross buns came on the market a few years back I started to look forward to Good Friday breakfast almost as much as stuffing my face with Easter eggs on Easter Sunday. I guess you’ve figured out that just like most holidays, for me Easter is about the food. While I’m a huge fan of the chocolate hot cross bun and can accept the fruit free type, I don’t accept all the strange flavours that have crept their way in. Baker’s Delight has a mocha bun and Brumby’s has gone all out with a raspberry chocolate and orange chocolate. I don’t like when they change things up so much, especially when I take a bite expecting chocolaty goodness and instead get a burst of orange. 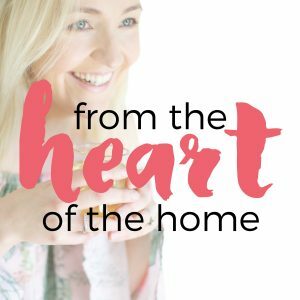 I stumbled across a recipe in Super Food Ideas that combined tradition with a bit of chocolate. 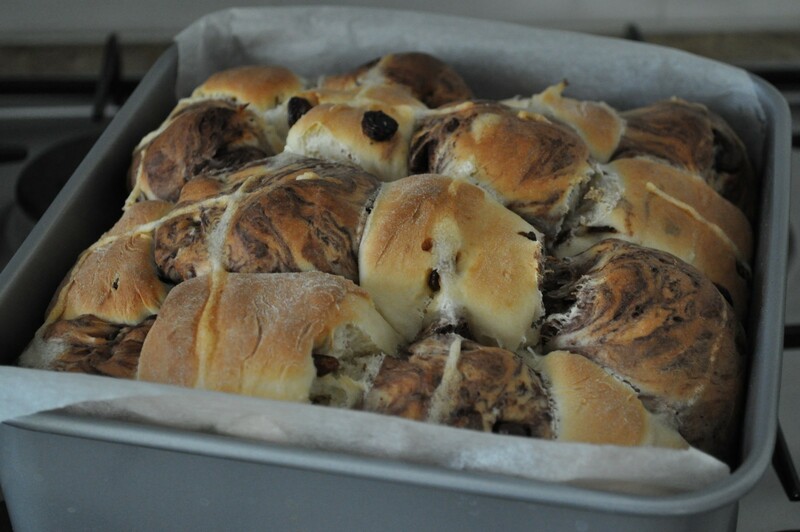 It had to be the recipe for my first batch of homemade hot cross buns – checkerboard hot cross buns. 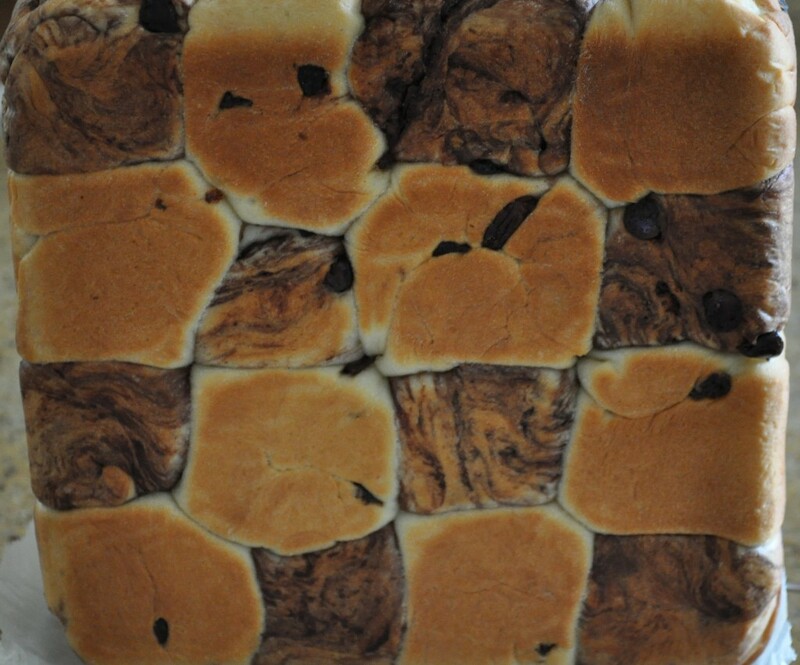 Let me show you, step-by-step how to make checkerboard hot cross buns. 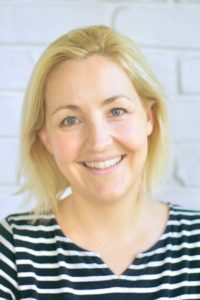 I changed the recipe to suit me which meant changing the method to be as easy as possible and to use my mixer. 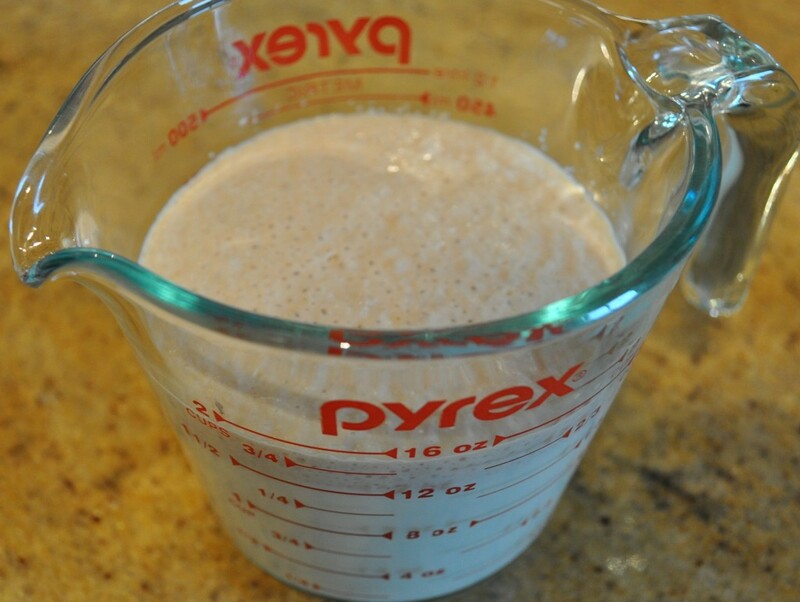 Like making any sort of bread or dough, the first step is to let the yeast proof. Mix together the warm milk, sugar and yeast and set aside for about 10 minutes until it froths. 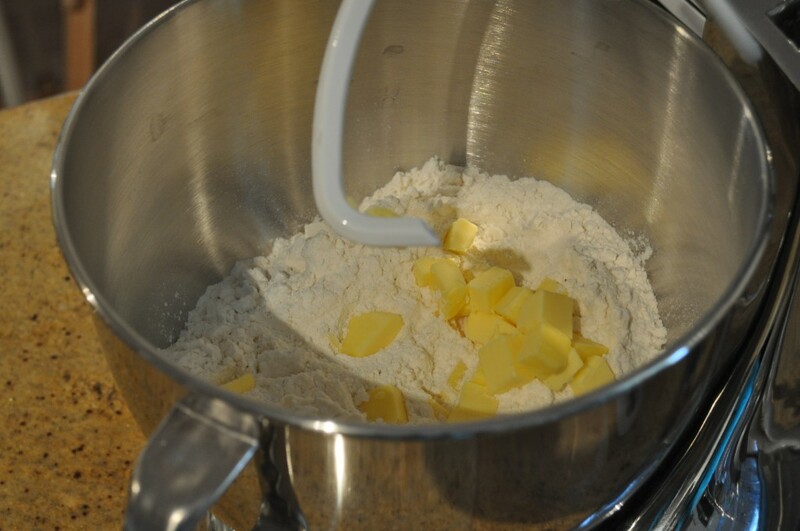 The first step is to combine the flour and butter in the bowl of an electric mixer. 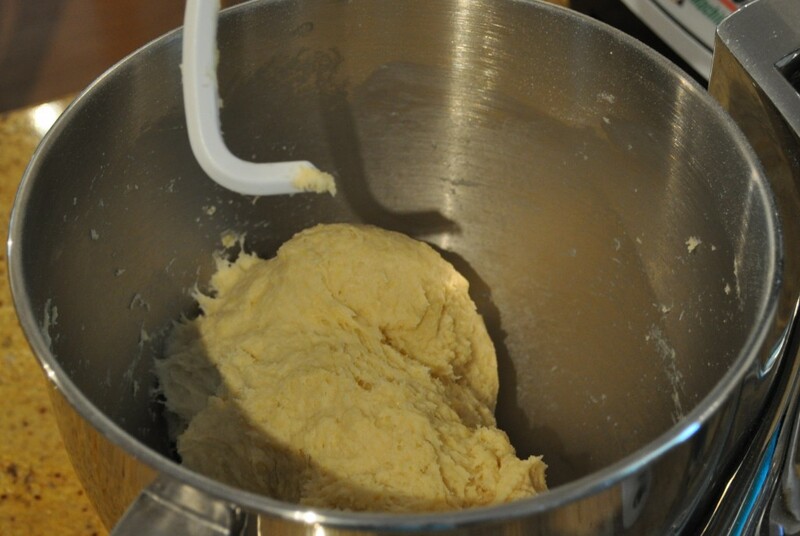 Using the dough hook, beat the mixture until it resembles fine bread crumbs. Mix the sugar into the butter/flour. Add the egg and mix it through. 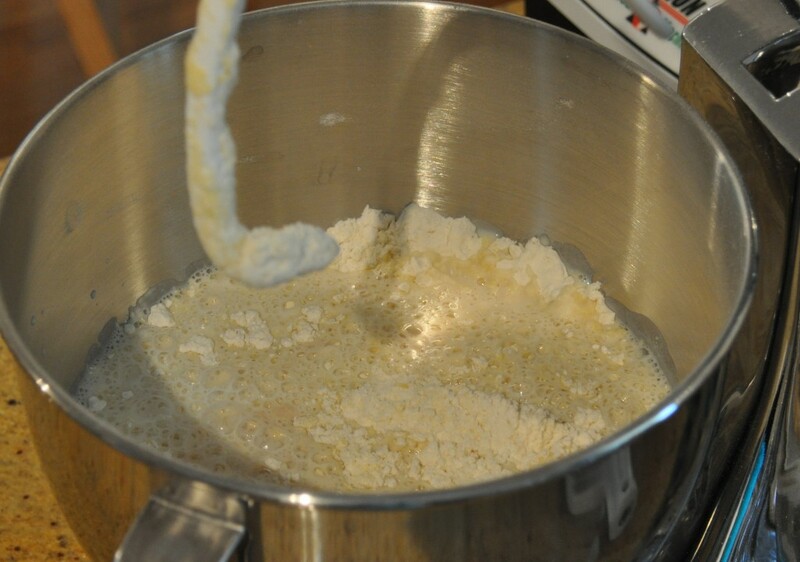 Add the frothy yeast then set the dough hook to work. When it looks like this, turn it out onto a lightly floured surface and knead just until the dough is smooth. Separate the dough into halves and shape one half into a ball. Place this one in a lightly-oiled bowl and set aside. The remaining dough will become the chocolate half. 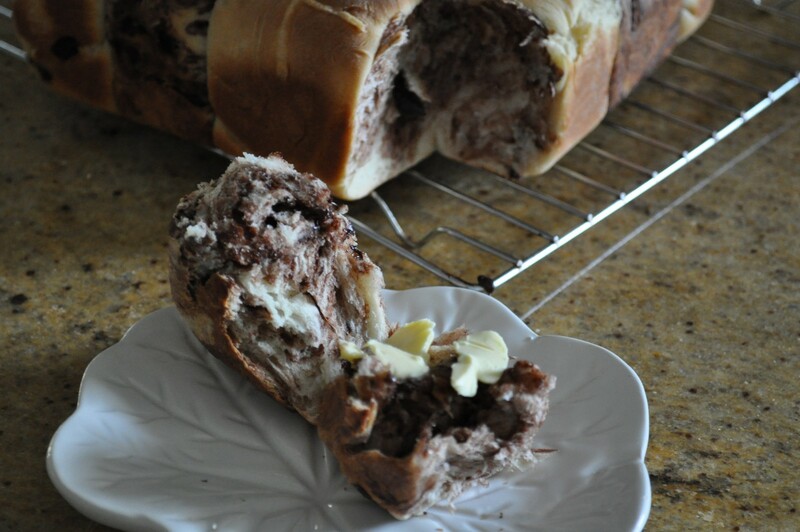 Gently knead the cocoa into the dough until it is just combined. You don’t want to over-knead or the dough will be tough. When it’s smooth, place it in another lightly- oiled bowl. Cover the bowls and set aside in a warm place for one hour or until they both double in size. 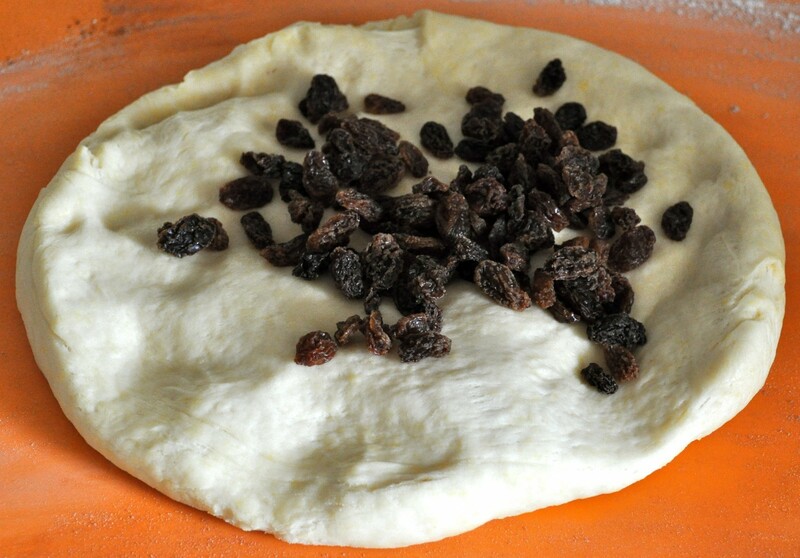 Knock down the plain dough and gently knead in the sultanas and a sprinkle of cinnamon. Divide the dough into 8 even balls and set aside, covered. 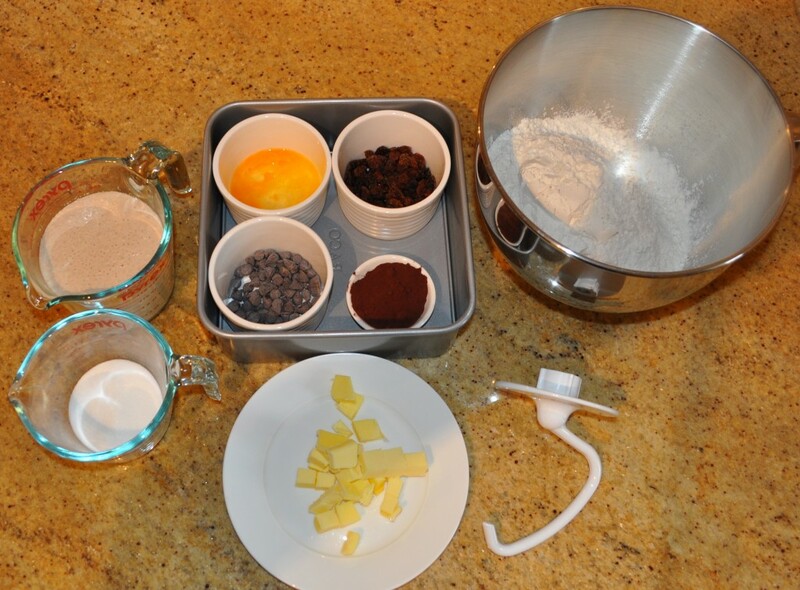 Now knock down the chocolate dough and knead through the chocolate chips. Divide this dough into 8 portions as well. Arrange the dough balls in a checkerboard pattern in a lined, square baking tin then cover it and set aside for half an hour. After about 15 minutes preheat the oven to 180C fan-forced. 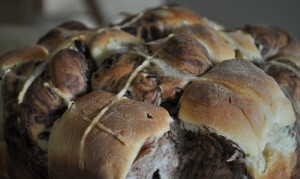 Pipe the crosses onto the hot cross buns. 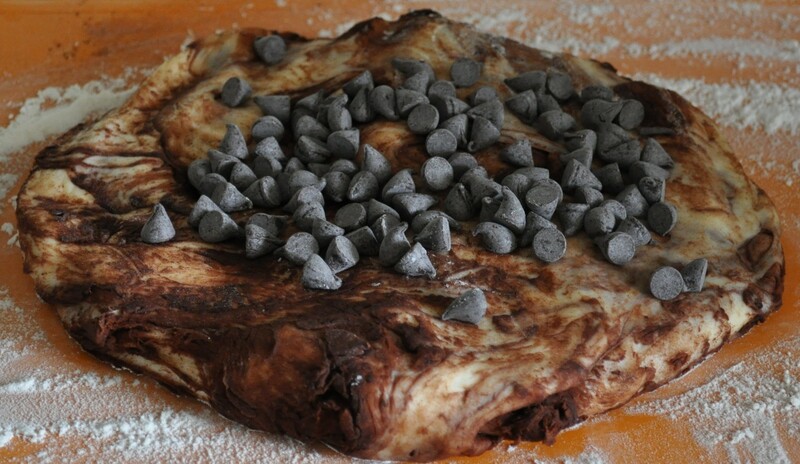 I used a mixture of flour and water to make mine as I wanted the authentic ‘baked on’ look. Alternatively you can use icing after they are baked. Bake the buns for 10 minutes then turn the oven down to 160 and bake for another 25 minutes. Leave the baked buns in the tin for 5 minutes before turning out onto a wire rack to cool. Serve the buns hot with a nice blob of butter. Grease and line a 23cm square cake tin. Place the yeast, milk and sugar in a jug, mix until the sugar has dissolved then set aside for about 10 minutes until it froths. 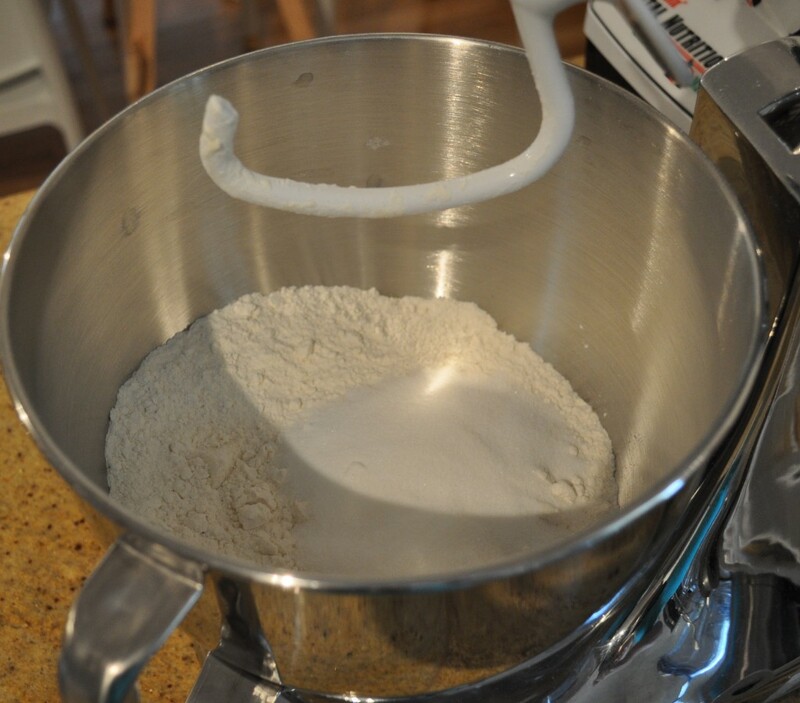 In the bowl of an electric mixer, place the sifted flour and butter. Using the dough hook, mix until it resembles fine breadcrumbs. Add the sugar and mix. 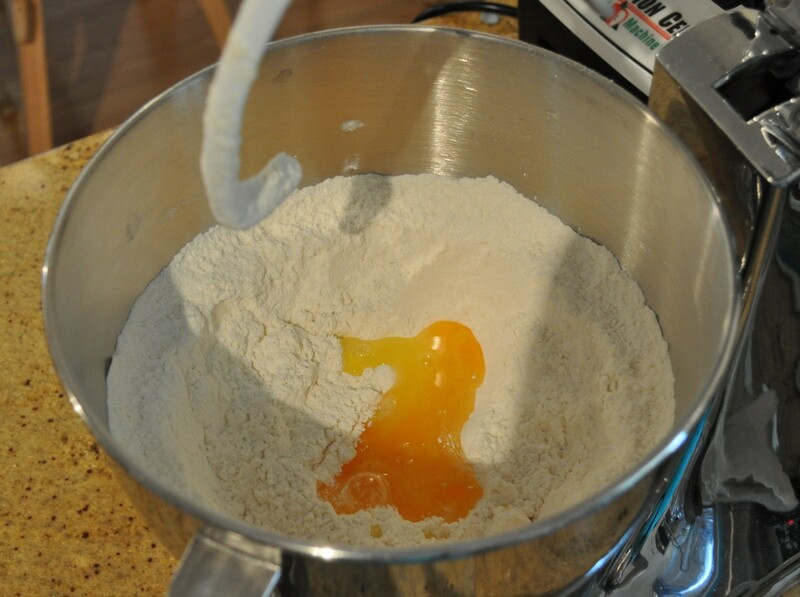 Pour the egg into the bowl and mix it then then finally add the yeast mixture. Knead the mixture using the dough hook until it comes away from the sides of the bowl. 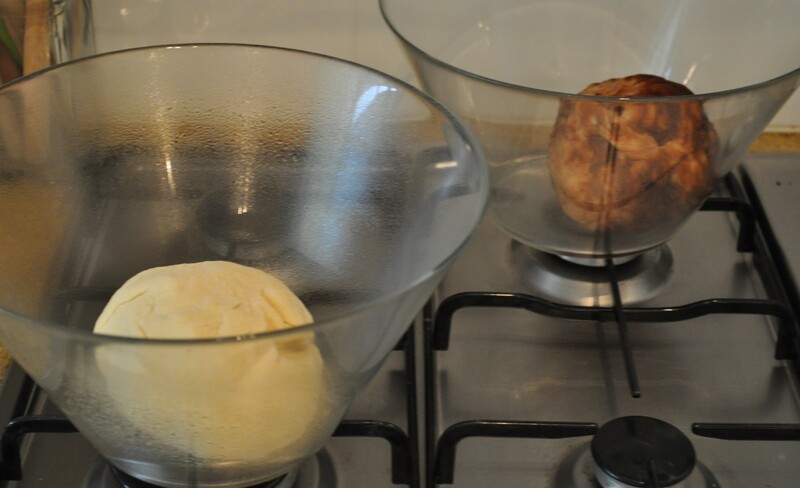 Halve the dough and shape one half into a ball then place in a lightly oiled bowl. 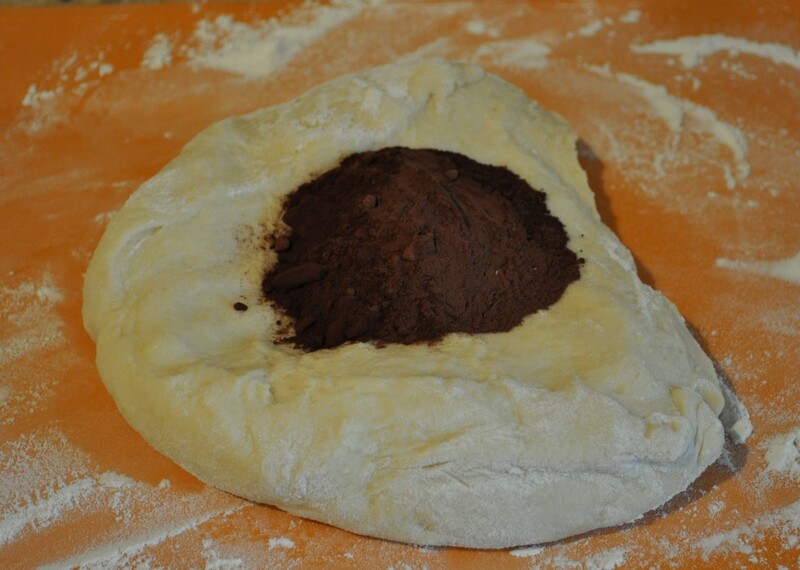 Knead the cocoa into the other portion of dough, form it into a ball and place it in a lightly oiled bowl. Cover the bowls and leave the dough to rise for 1 hour. When the doughs have doubled in size, working with one at a time, turn them out onto a floured surface. 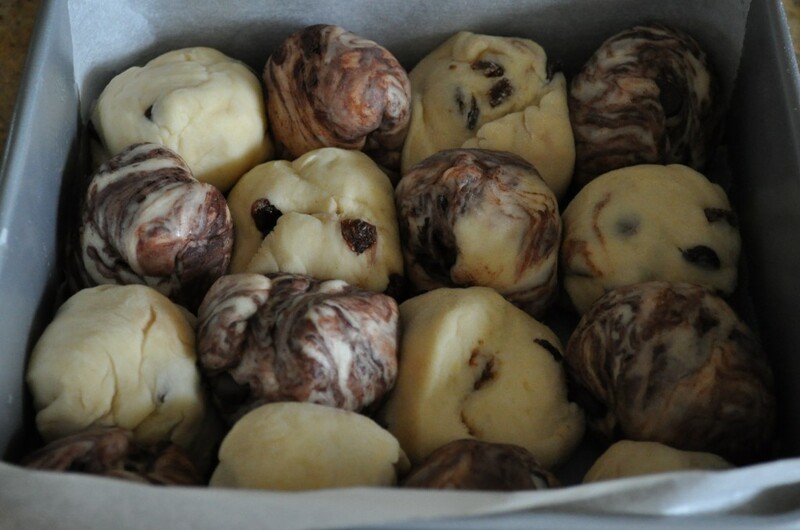 Knead the chocolate chips into the chocolate dough then separate the dough into 8 round portions and set aside. Knead the sultanas into the white dough and divide it into 8 round portions. Arrange the dough in the tin in a checkerboard pattern, cover and set aside for about 30 minutes until they have slightly risen. Pre-heat the oven to 180C(360F) fan-forced. The original recipe uses icing after the buns have been cooked and cooled to form the crosses. I wanted a more traditional baked-on cross on mine so I mixed together flour and water and piped it on before the buns went in the oven. Bake the buns for 10 minutes then reduce the oven temperature to 160C and bake for a further 25 minutes. When cooked, leave them in the tin for 5 minutes before turning onto a wire rack to cool. Serve the buns warm with butter. 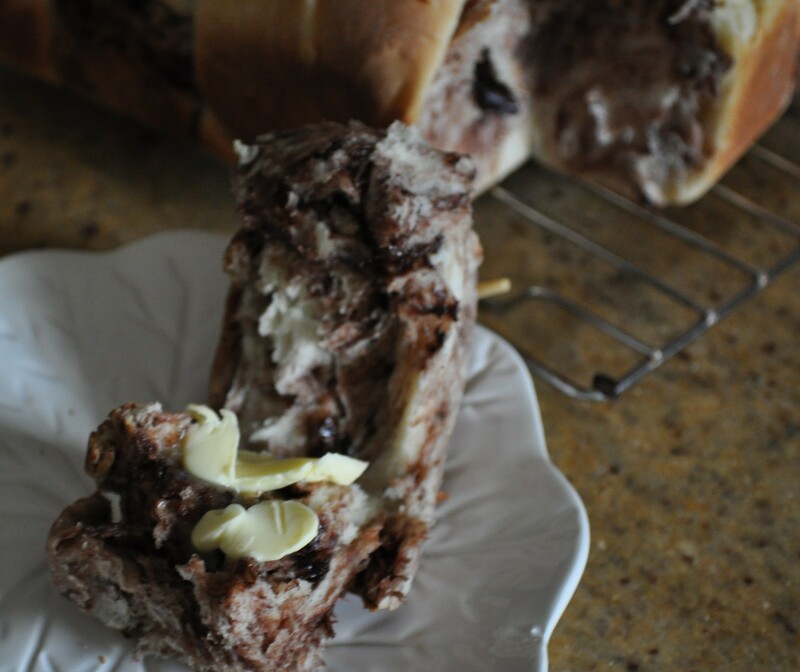 The above steps can all be done by hand and if you are after a more even chocolate colour in the chocolate buns, you can separate the two doughs from the start working with half of the ingredients at a time and adding the cocoa to the flour in step one.